What a wonderful gift to celebrate a special first Christmas! 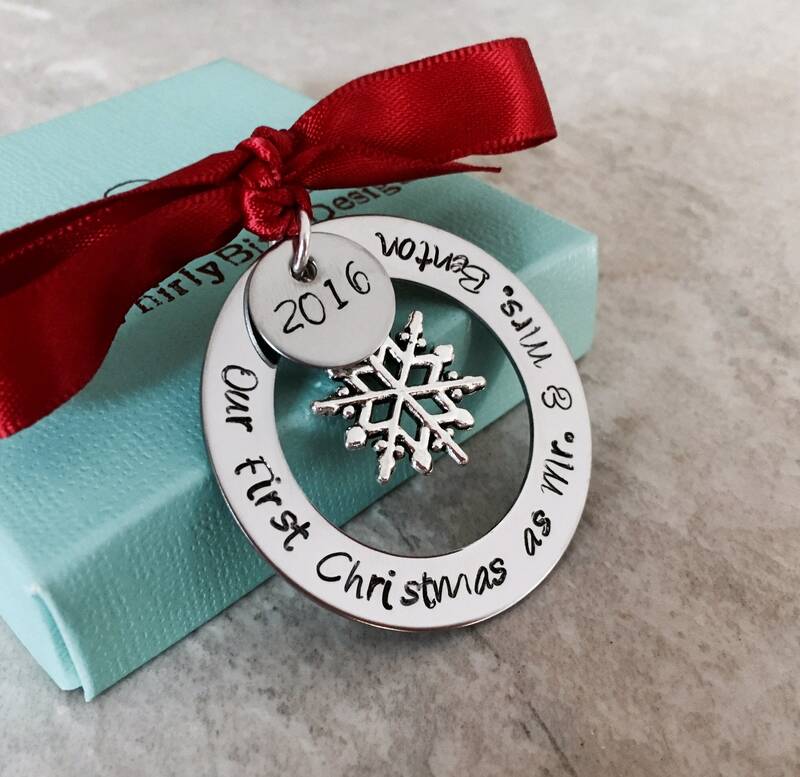 Outer portion of this Christmas ornament says, "Our first Christmas as Mr. & Mrs. (name)". 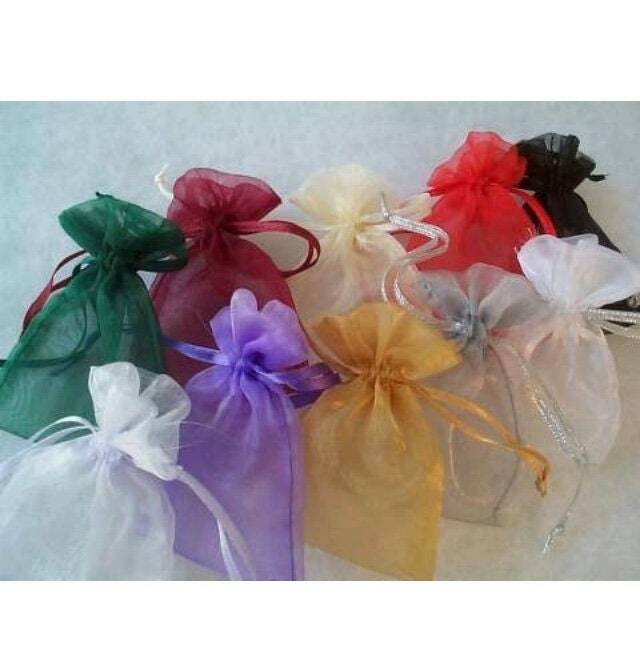 Includes small charm for the year as well as a snowflake charm and your choice of ribbon. Please use the notes box found on the check out page to give me the specifics for what you'd like your ornament to say. Also, please make sure you leave the year you'd like included--if this detail is left off, I will use the current year. Please use the drop down menu provided to select the ribbon color that you would like included on your ornament. If you have any questions at all, please send me a message and we can talk about all of the options! Larger round disc measures 1 1/2".